Actress turned filmmaker Pooja Bhatt amidst her film commitments decided to celebrate Diwali away from the country. And ironically, she decided to visit Karachi in Pakistan for Diwali. Despite the much talked about tension between the neighbouring countries that was followed by a major controversy in Bollywood, Pooja unaffected by the same decided to visit Pakistan. 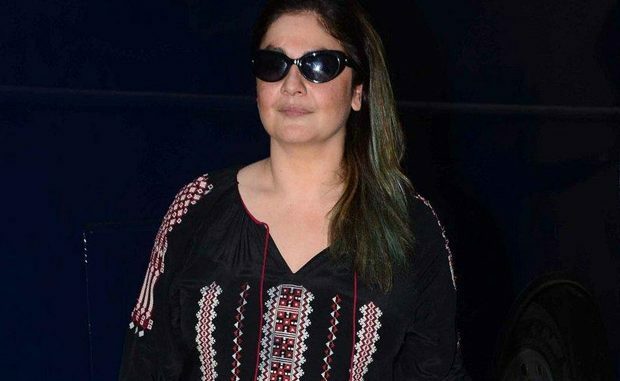 From what we hear, Pooja Bhatt is on a personal trip to Karachi and is being hosted by singer Ali Azmat of the band Junoon fame. Besides this, the details of her trip are being kept under wraps. Considering the ongoing controversy over the ban on Pakistani artists, the situation between two countries turned further sensitive resulting in division of celebrities with two extreme opinions. While one sect supported the ban, amongst the few others who were opposing it, was Pooja Bhatt. The actress took to social media to express her displeasure and also termed it as a ‘bullying’ act by politicians. Several films had to suffer setbacks owing to the sudden change of circumstances between the two countries and the filmmaker refused to accept it as an act of ‘nationalism’. Pooja Bhatt has been working on her much ambitious film Cabaret starring Richa Chadda but the film that was supposed to release last year is still awaiting a release date.